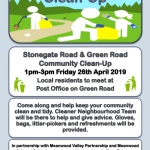 If you live in the Meanwood Valley area and are interested in and passionate about enhancing the area in which you live, there are many ways you can get involved. We hold regular Open Meetings every two months where we discuss matters that affect us as residents and progress ideas for improvements. The meetings are usually attended by our local councillors and as such are a great way to get across the views of residents to those who are able to have some influence. If there is something that particularly irks you or a service or activity that you think would enhance the area, why not take up the cause and bring it to a meeting. You’ll need to do a bit of research and be prepared to put you case forward. If it’s something that meets the aims of the Partnership and gets the backing of the meeting, we’ll help you take it forward. We’re particularly interested in things that will increase involvement or bring resources or facilities into the area for the benefit of everyone in the area. At certain times of the year, for instance leading up to the Meanwood Festival or Fun Day, we need a number of people to donate a little of their time to ensure the events run smoothly. It might be something as simple as putting up posters or manning a stall for a couple of hours, but every job is necessary and these events can’t take place without our volunteers. If you can help, we’d love to have you with us. We think Meanwood is a great place to live and bring up families. If you love living in Meanwood and would like it to make it even better, why don’t you join us? 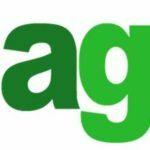 For more information and to see what current projects and issues we are involved with , check out the minutes of our meetings. 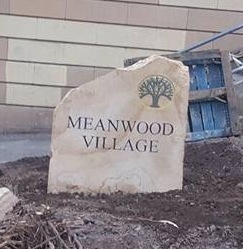 If you’d like to be added to our emailing list and kept informed of what’s happening in the area, email us on meanwoodvp@hotmail.com or follow us on facebook and twitter.